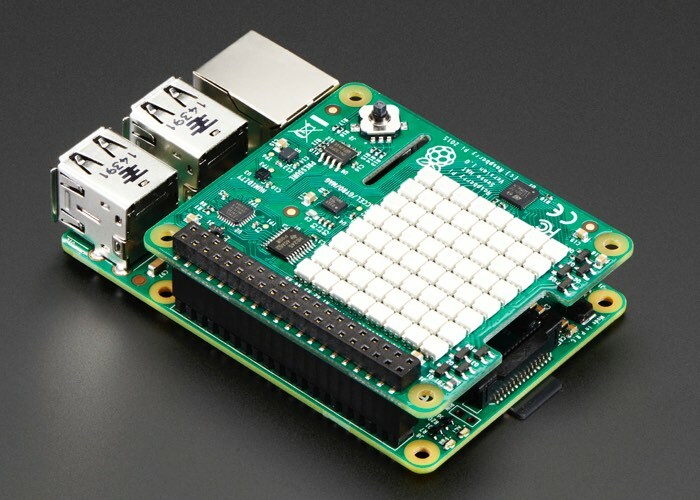 Raspberry Pi users may be interested to know that the Raspberry Pi Sense HAT is now available to purchase directly from the Adafruit website priced at $39.95. 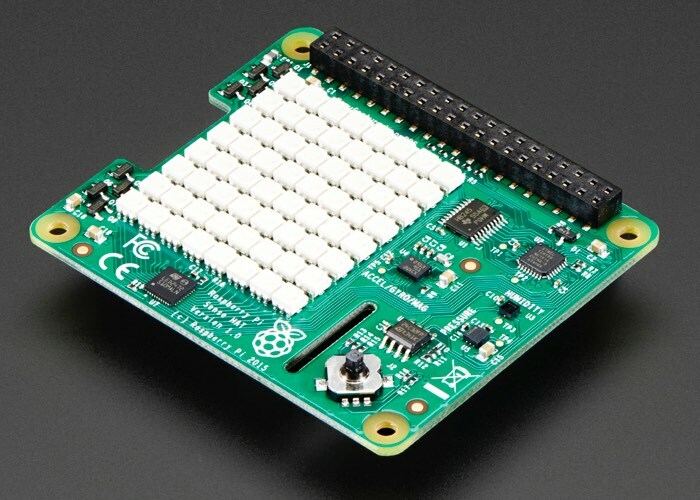 The Raspberry Pi Sense HAT has been designed to attached to the top of the Raspberry Pi via the 40 GPIO pins and is compatible with Raspberry Pi 2, Model B+, and Model A+, but not the earlier 26-pin models of Raspberry Pi 1 Model B & A’s. The 8×8 LED Matrix enables you to display the data from the various sensors, it can show you which way is geomagnetic North by programming a compass using the magnetometer, or simply be used to play games like Tetris, Pong and Snake with the joystick. The joystick can also be used to enable a human user to interact with the programs running on the Raspberry Pi Sense HAT. Writing programs for the Sense HAT is very simple with a Python library available to get started quickly and easily. For a truly out of world projects check out the AstroPi website, containing a host of ideas and instructions. Jump over to the Adafruit online store to learn more and purchase via the link below.